It's on Like Donkey Kong™ on Wii U™! 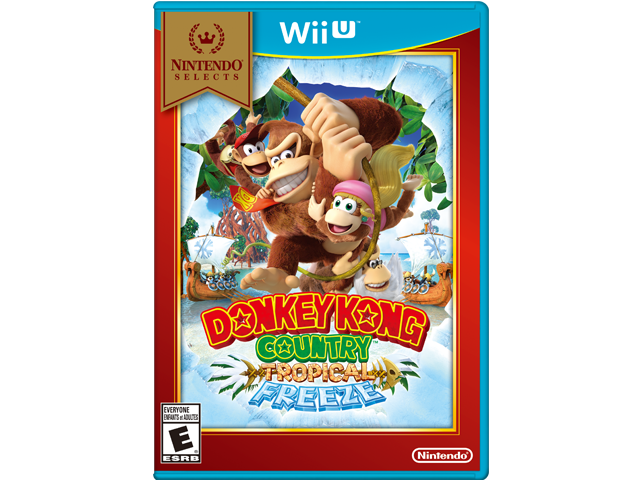 Help Donkey Kong™ and his friends get back their home from Vikings in the Donkey Kong Country™: Tropical Freeze game from Retro Studios. All the challenging ground-pounding, barrel-blasting and mine cart action from the Donkey Kong Country™ series is back, along with a bushel of new game-play elements and features. Dixie Kong™ is back to join the adventure as a playable character alongside Diddy Kong™. Either can buddy up with Donkey Kong, and each character offers a different game-play experience. Explore new dynamic levels that twist, turn and transform in new ways. Plus enjoy spectacular views from the dynamic rotating camera. Enhance Donkey Kong's exploration and unlock secrets with a new move that involves "plucking" items right out of the ground. *Additional accessories required for multiplayer modes, sold separately.